Disclosure: This post is part of my week of giveaways. (As a matter of fact, this one came out of my own pocket). I just really love this book & I hope that more people will discover the joy of praying in color. I’ve written several times about praying in color. I discovered the book several years ago and it completely changed my spiritual life. Doodling is something I can do almost anywhere. With a swish of my pen, I feel more and more covered with grace. I settle into a rhythm and listen deeply to the sounds around me. Pen across paper. Air whooshing through the vents. Clocks ticking. Birds chirping. The chatter of children in the background. Oh, the beautiful sounds of everyday life. As I start at one end and draw around in swishes and swirls until I find the other end and I am reminded that forgiveness can bring us back together and make us whole again. Lines both thick and then reminiscent of the ebb and flow of life. A curve reminds me that the straight and narrow road isn’t always the best way, and that the curvy parts are sometimes the most beautiful. As I fill it in with the tiny details, I find a hope that more beautiful things are to come. Swirling into a circle, I’m reminded that God’s love never ends. I especially love to write someone’s name and circle it, praying that they will feel God’s love surround them. And as I begin to color it all in, how could I not think of the gorgeous colors in our world as well as the colorful people in my life (and there are a lot of you people with colorful personalities, you know)? The Praying in Color book is an easy read and gives helpful hints on how to get started. The Praying in Color Journal is divided into sections like Intercessory Prayer, Lectio Divina, Making Amends, For Remembering, and more prompts to help you go beyond the basics. Entry for this one is simple. Just leave a comment below. Any comment at all. One entry allowed per person. Comments will close at 11:59 EST on June 30th. Winner will be chosen using Random.org and will be notified by email. If winner does not respond within 24 hours, a new winner will be chosen. Beautiful colors! I remember you talking about this in other blogs and I’m always interested to learn more. I was just telling my mother in law she needs to check this out; i was going to look this up for her anyway, and you made it easy to find 😉 Always intrigued by this idea! Love your doodles and the idea of using them in prayer! Sounds cool…will have to check that out. I had forgotten about this. I need to check it out. I am so intrigued by this. I have read your previous posts and thought it very cool, but just don’t “get” how to start (or maybe I just need to do it?). Maybe the book would help? Regardless, your prayer above is beautiful! Bridget you are so colorful and I will have to check this out soon. Thanks for your friendship. Oh wow! This is perfect for my mom, actually. Have to add it to my gift list! Thanks! You are so talented. 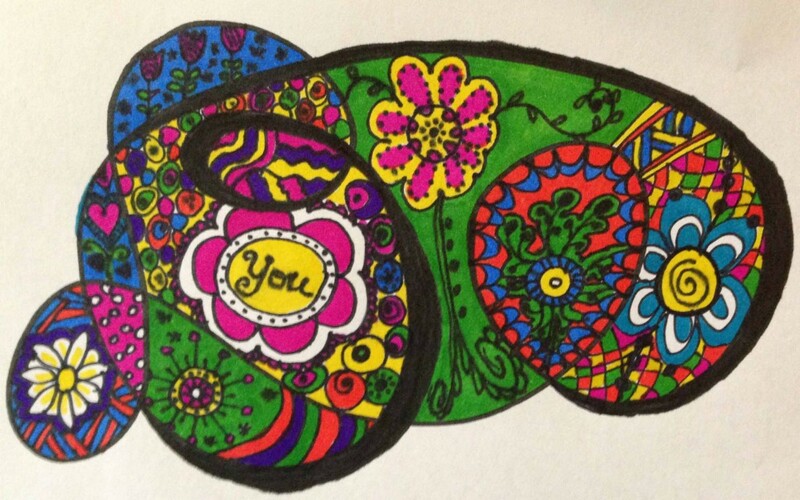 Love your doodling. I am so anxious to try this that I will be purchasing the book if I don’t win. Thank you for doing this for all of us who follow you! You have sparked my curiosity about this book. I can doodle anywhere! My book for work is proof!